eGrip II is newly added with game mode. The game will bring you entertainment and leisure at free time. eGrip II applies two sets of battery protection circuit system, realizing overall battery protection of over-charging, over-current and over-discharging, which makes it more safe and reliable. The new NotchCoilTM 0.25ohm DL. (Direct Lung) head lasts longer and can be used under high wattage condition. It will surely bring you great vaping experience ever. 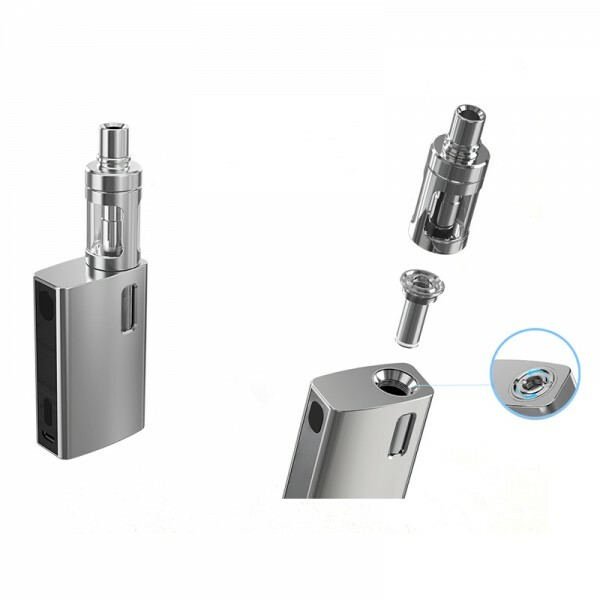 TFTA-Tank technology, which means Top Filling and Top Airflow, enables the top section and coil to be removed and as one solid unit, presenting you eGrip II of All-in-One style with evolve and improvement. Coil replacement and juice fill can be achieved by removing this top section from the cup. eGrip II comes with the upgradeable firmware. Having Version 4.03 for eGrip II, new interface, multiple modes and functions, game mode are available. The micro USB port is on the top of the left side. Connect it with a micro USB cable to charge or upgrade your device. Simply charge eGrip II by connecting it with the wall adapter or a computer via USB cable. The battery is charged as shown in the picture. When it is fully charged, the charging bar will disappear.